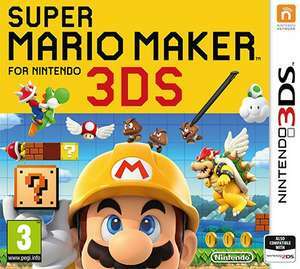 Super Mario Maker 3DS found for £30 from Asda Small Heath (the big one), likely a national deal. Also anyone with double discount can get the game for a sweet £24! So we're haters for going for the cheaper option? bad day for ninty stuff. part of the crazy wiiu deal backlash? Yeah that must be it. This is mostly an Xbox fanboy zone so I do understand why this got so cold. silver candled flamedeer! up yours haters!